We all enjoy camping and travelling with friends and family but have you ever invited someone from work or a neighbor to come along with you? Sharing the experience with them and seeing their reactions to the outdoors, camping and bush cooking reminds us that we have something special in Australia. 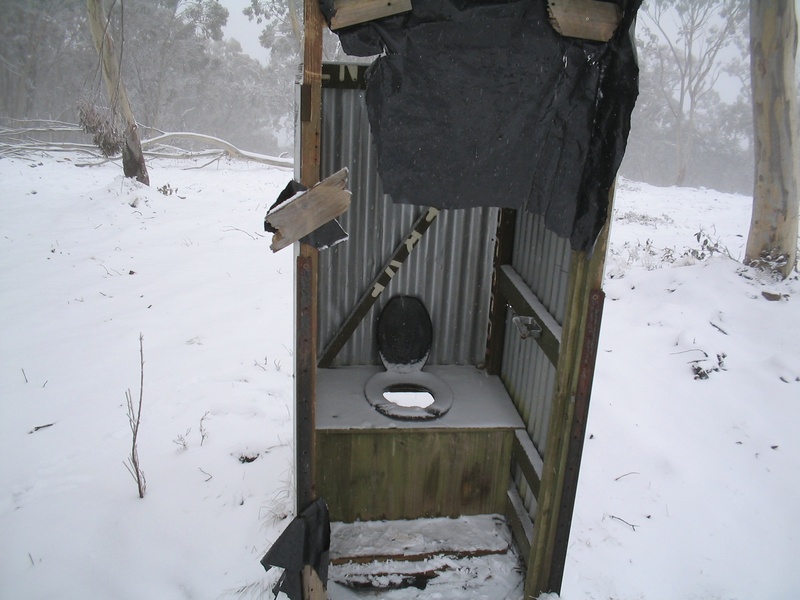 I have taken a couple of people I worked with in Melbourne on two separate trips, both times traveling up into the Victorian High Country. The company that I worked for at the time, Infosys, has an office in Melbourne. My colleagues were from India and weren’t used to camping and four wheel driving without the possibility of being eaten by a tiger or strangled by a 6 metre python. Four wheel driving is basically non existent in India. So when I offered them a weekend away they jumped at the chance. 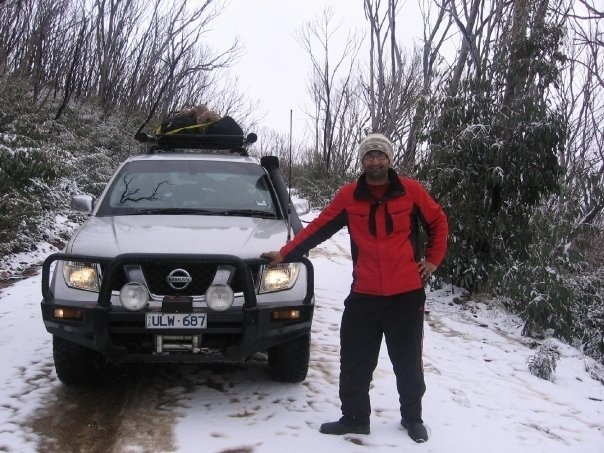 The first trip was a weekend to Woods Point which included some snow driving near Mt Matlock. Akshay Joshi tagged along with us with the assurance that echidnas did not shoot their spikes out in self defence. 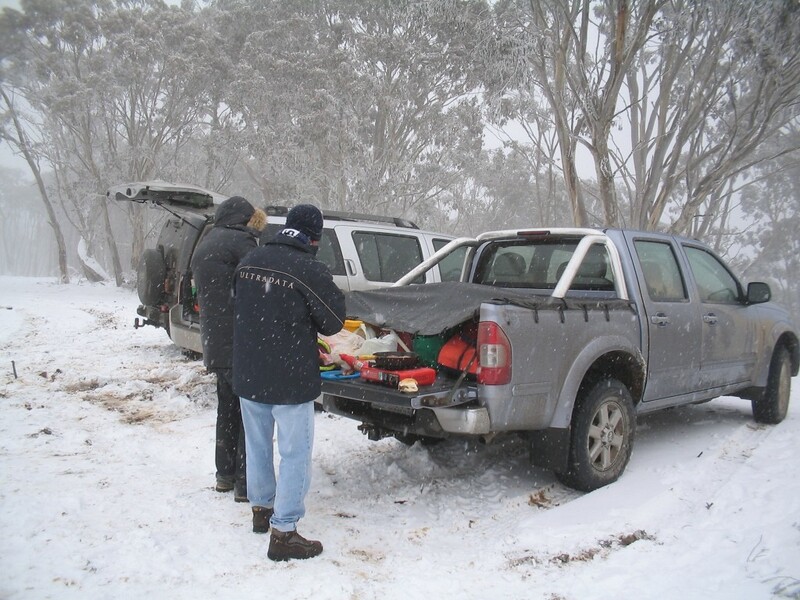 For lunch, we cooked sausages on a stove on the back of a ute while standing in the snow. 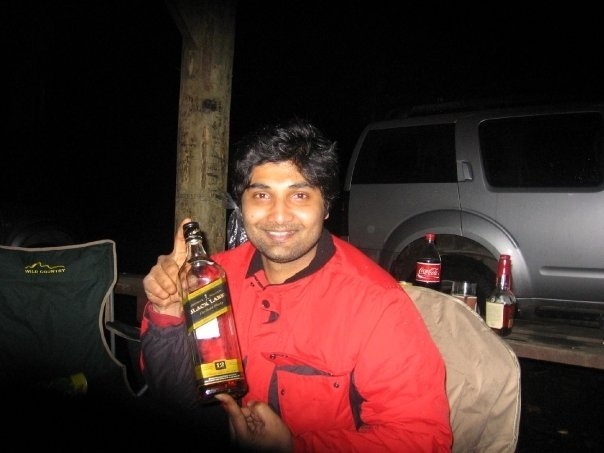 Keeping warm in the High Country in winter – campfire and a bottle of scotch. The second trip was a weekend away at the historic gold mining town of Walhalla, Gippsland with Divij Phadnis. 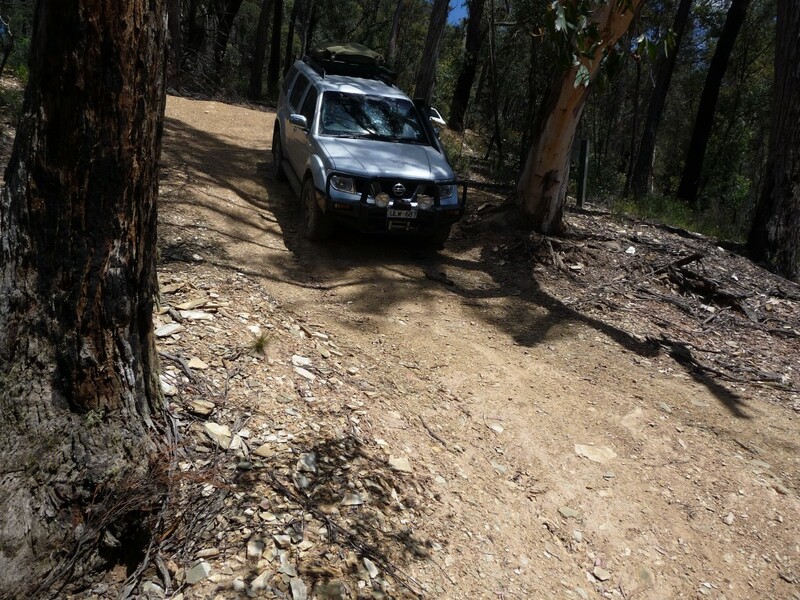 The landscape around Walhalla is very steep which provided some exciting four wheel driving. We also did a few river crossings in the car as well. We arrived at the Caringal campground on the Friday evening, setup camp and relaxed around the campfire with a few beers. The next morning we set out to do some exploring which included a bit of gold panning. Before lunch we had driven on some of the steepest tracks around the Walhalla area. Lowering the tyre pressures and selecting low range in the Nissan Pathfinder was all new to Divij. Getting behind the wheel for a drive was offered but declined. He was either happy with my driving or just too polite to say anything. Probably just being polite. Lunch was at a small river that had a great little swimming hole. 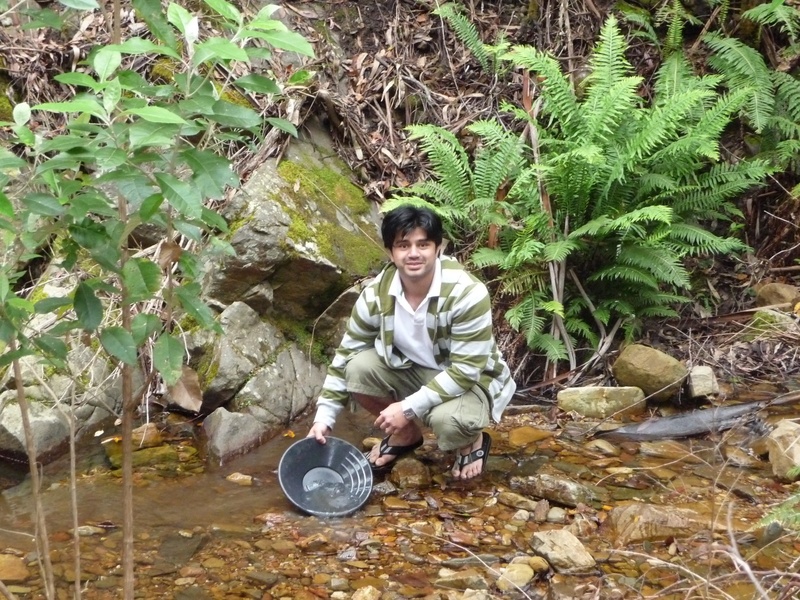 It also gave Divij and the kids another chance to try their luck with striking it rich by doing some gold panning. After a couple of hours swimming and relaxing in the river, I noticed that dark cumulus clouds were forming not far from us. We were down in a gully so we couldn’t really determine the size of storm that was brewing. The danger is that some of the tracks that we had to drive to get to camp become impassable when wet. I wasn’t keen on getting stuck with no sleeping gear and food with the kids so we packed up and made our way to the bitumen road at the Thompson Dam. One of Divij’s gods were favouring us because it started pouring rain just as we reached the dam wall. There was no way we would’ve got out if it had rained while we were driving the dirt tracks. That evening while eating dinner cooked over the fire in a camp oven, I mentioned to Divij about an old cricket ground that the miners actually dug on top of a hill. Because the area was hilly, the Irish, English and Scottish miners leveled the top of the hill so they could play cricket! The local Walhalla team would camp up the top the night before the game because the walk to the top was too demanding. 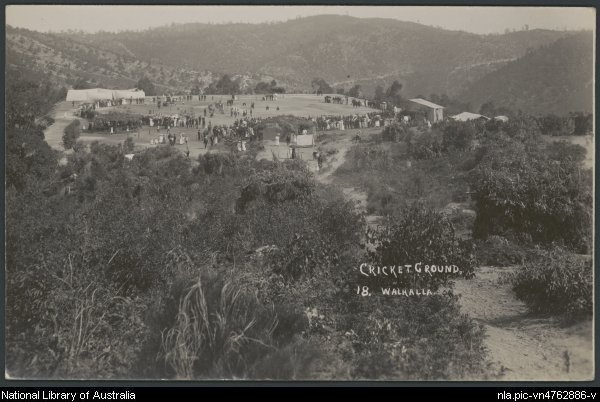 The visiting teams would take more than 2 days to walk from the other gold mine towns in the mountains to Walhalla just to play cricket! Then they had to make the 60 minute walk to the top. 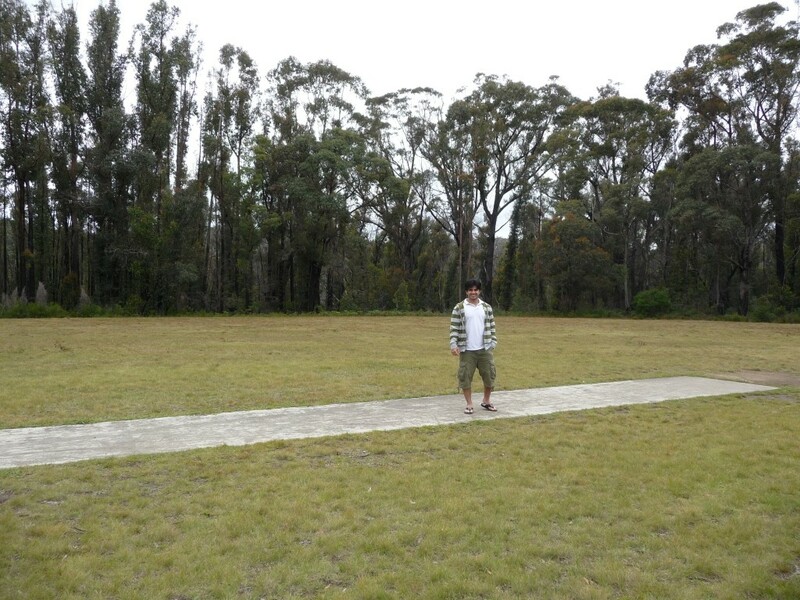 Coming from a place where most kids are better than the Australian Cricket Team, Divij was pretty keen to check the ground out.